Huawei sure will be getting some attention from the public on Mobile World Congress as it’s going to unveil some of its next-gen smartphones but that is not the only reason, the company just came up with a teaser showing some stuff about their products that are going to arrive in a pretty confusing video. 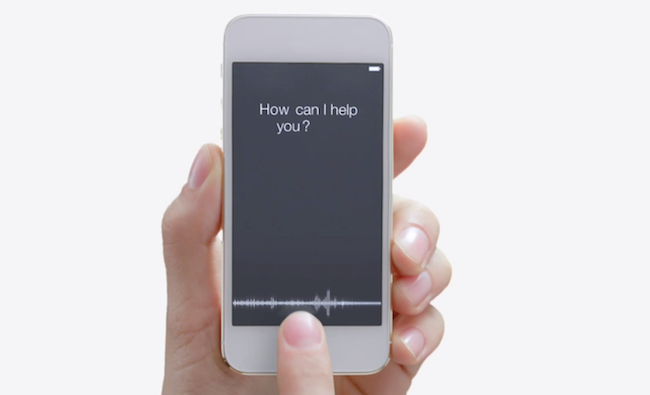 What’s confusing about the video as they are showing a hand holding a smartphone that almost looks like an iPhone, but there is no home button present on it and the smartphone is running a voice assistant software that also looks like Siri but does not sound like her. What the video shows is what’s new at Mobile World Congress which includes a new tablet which will have a beautiful and thin design that will contain a battery that will work for a whole days of use with a single charge, a smartphone which will have an amazing front camera, a multimedia tablet that will offer a great multimedia experience and an amazing device that can support the next-gen LTE connection, and this is all done with the help of the Siri look alike assistant. At the end the guy in the video asks whether these products are from a “Fruit or Some Song” which is pretty obvious as they are referring to Apple and Samsung to which the look alike of Siri replies that these products are going to be released by Huawei. This is all the teaser offers and there is no specific details on what Huawei is coming up with on Mobile World Congress but we do know now what do expect and what is even more surprising is the amazing front camera as none of the companies pay much attention to their front camera or it may be just like one of those rotating cameras found on Oppo N1. What amazed us is that why would Huawei use an iPhone look alike to cover their teaser but that might just be a strategy to catch out attention, so let’s hope for the best as MWC is near and we will get to see what Huawei really has to offer.